By Colleen Brunetti, M.Ed., C.H.C. I think that with potty training there are “windows of opportunity” and if you aren’t in one training will be overly difficult. I used a method of training where we went full force. I don’t really go for pull-ups during the daytime (I think they are expensive diapers). The child makes a decision to use the potty and off we go. I don’t force them to sit on the potty (unless we are leaving the house) but will ask if they are listening to their body. My daughter was trained at 19-months-old, my son was much later at 34 months. Each child had different needs and I needed to be aware of that. Let your child take the lead, and watch for signs that they are ready! Also, watch to see what motivates your child! We used the Potty Time chart and I made magnetic stickers that my son stuck on each time he went, and at the end of each row, he chose if we went swimming, to the zoo, park (places that were free for us to go)! 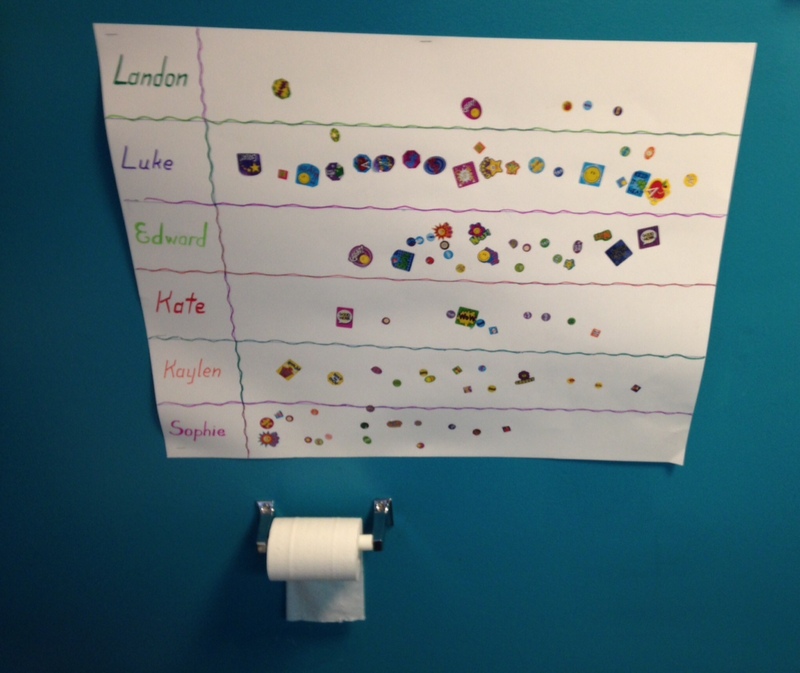 Along with the Potty Chart, we used the Potty Time video on a daily basis. I recommend skipping the pull-ups and going straight to the thicker underwear. My son didn’t like the feeling of being wet, so it was another motivation to stay dry and use the potty! So there you have it! Some of our Instructors’ best tips. What are YOUR best tips for potty training? Sound off on our Facebook page! The Little Lighthouse Daycare in Ellicott City, Maryland, is trying something new. One might even call it innovative… and if you’re struggling to potty train just one kid, you might even call it crazy! Nonetheless, the teachers at this daycare are going the distance – and putting groups of kids through potty training boot camp all at once. And they are having success! Farida, the assistant director, took some time to explain their unique approach to me. They start with the age of the child, focusing on the two-year-olds who are getting ready to move to the three-year-old room. Since the daycare happens to have a transitional room for kids between two and three, this is ideal. While it is a boot camp approach, they don’t just jump right in. There is a very carefully thought out process that the teachers guide the children through, and the end result is quite promising. The process is the brainchild of Farida, who was looking for a streamlined, effective, and developmentally appropriate way to support the kids in the care of the center as they went through the potty training process… but not to have it drag on for seemingly forever, which for some children it appeared to be doing. After careful thought and research, Farida wanted to try something a little radical. It seemed by her observation and research that before age three was a good age to train, and the common denominator amongst all children is that they were showing interest when it was time. First, a letter goes home to parents a few weeks in advance and parents get to discuss the process ahead of time. The letter details an overview of the daycare potty training program and gives the start date. Potty training can understandably be a rather sensitive subject, so clear communication on the part of the daycare is key. Sometimes there is a little resistance on the part of the parents. It is a matter of trusting the caregiver you’ve entrusted your child to, or following through at home (perhaps with a potty training boot camp weekend prior to the daycare launch). Although each family has their preferred method and time to start, for this to work everyone needs to be on board together. Next, the work with the kids at daycare begins. There is a designated circle time where the kids who will participate begin to prepare. Each day has a theme and a children’s book to go along with it. Topics like introducing the potty, the digestive system, and “diapers are not forever” get careful coverage. A big countdown chart goes up on the wall as kids get ready. There is even a doll named “Potty Polly” (complete with a toilet, underwear, and a toy cup!) that the kids get to play with. This imaginative play, where they are guided to explain to Potty Polly why she must use the potty, is key to ensuring the kids understand what they are being asked to do. The kids are now informed, and they’re psyched to start because the process is kept fun and inviting. A timer is used to cue them for when it is time to try to go potty, starting at every 10-15 minutes during the day. There is also a big potty party, complete with juice and treats, and then everyone goes and gets on their underwear. And then – as the first day has officially begun – everyone tends to immediately pee their pants. This is normal, expected, and prepared for, as parents have already sent in stacks of dry clothes. There may be a lot of back-up outfits to go through the first few days, but nobody worries, as this is all a part of the process while accidents become less and less as time goes on. Farida stresses that time, patience, consistency, and a positive attitude are all key elements. Even if the children don’t look like they are getting it at first, they are. And in a very short time, the efforts pay off – just check out this sticker chart full of success! Have you tried boot camp or a potty party to launch potty training? 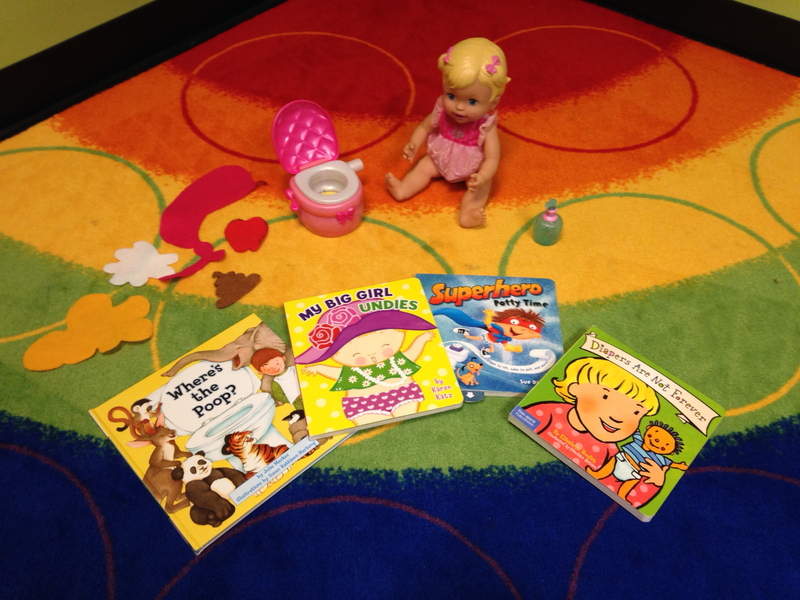 How does your childcare provider handle potty training? Let us know on Facebook or here in the comments section.